What a strange title for a post you might be saying. As I’ve learned from previous experiences (my own and those we deal with on a day to day basis) – it is very EASY to talk about what we’ve done in the past that has helped bring our businesses to the point they are today, but have you ever heard somebody tell about those “failures” that they’ve had along the way? It is very interesting that we all want others to see us as someone who “succeeds”, but not someone who has “tried and failed” with a few ventures. Look at Thomas Edison – how many times did he “fail” before he actually got a working model of the light bulb. Or how about Henry Ford or Einstein!!! So don’t put yourself down because of a few failed attempts to try something new. The whole issue is this — the only time you “fail” is if you fail to get up to try again! We’ve had patterns that we worked hard at creating that just didn’t go over so well, and we ended up taking them off the market. Then there are the patterns that we thought “I’m pretty sure people might like this one”, and ended up selling thousands of the pattern. You just don’t ever know what there is in YOUR business that just might be the hit of the day / month / year! When you come up with an idea for a new project, or new direction to add to your business, don’t just dismiss it because you’re not sure that it would work. Try to work out the details of what would need to be done in order to make it work, then GO FOR IT! It could be your million dollar idea! Of course it could also be one of the ideas that doesn’t quite put the dollars in the bank, and if that’s the case, see how your idea could be revamped or redone (think Thomas Edison), and TRY AGAIN!! We have three fantastic books that could just be perfect for helping your business grow — “501 Tips & Strategies For Home Business Entrepreneurs”, “How To Sell Your Handmade Items”, and “Jumpstart Your Business….Proven Techniques And Strategies”. 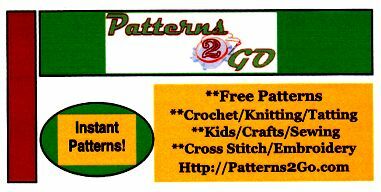 A friend of mine has been doing alterations as a home business for a number of years, and has a pretty good business. About six months ago while having lunch I asked her if she had a website. Her immediate answer was “of course not — how would I get alteration business over the internet?” She has a computer, orders some of her supplies through the internet, prepares shipping labels through Fed Ex online, but never felt like she needed a website herself. WOW! I couldn’t believe my ears! First of all, she’s been teaching classes at various women’s groups about lingerie, how to make various garments, what to look for in knits, spandex, etc. She passes out information sheets to the attendees and does all the right things. I started telling her why she can’t afford NOT to have a website! Even if it didn’t bring alteration customers to her, and it very possibly could reach some of the hometown folks, she could surely set up a simple website page and start to sell some craft items and use up some of the scraps she has. In addition she buys some types of tricot in bulk for her sewing, and gets it much cheaper that way — duh! Another item she could put on the website to sell. And, I mentioned to her that all that information she’s been giving out to the classes she’d been teaching could be written up and submitted to the various article directory sites. These articles, while not getting immediate dollars for them, could send readers to the site and create sales. Another method of getting traffic to the site is through two way linking, or reciprocal linking. She knows that I have a website, so I could be the first one to do a reciprocal link, and she has other friends who also have websites. Another thing I told her is to look up some sewing / alteration forums and register with them. There are always categories that would fit just about any area of information that she, or you, would have knowledge about and could answer questions, pose your own question or give information in general about. Many times your email address or website address are in your “signature” at the forums, so people could readily click on it and visit the website. In addition, forums are normally spidered by search engines regularly, so if somebody is doing a search regarding your business items, your website name could very well pop up and additional traffic would be sent your way. I did let her know, however that by doing these things, she should not expect to be flooded with traffic and orders immediately. It does take time to get the website out to the public. There is no quick and easy method for building website traffic, however the most important lesson is simply to let the site grow overtime — put in a little time, lots of effort and never forget perservance!! Do YOU have a website for YOUR business. Just about everyone has a computer – does a lot of “surfing”, and buys from various sites, including eBay, Amazon, etc, but sometimes it just doesn’t register that YOUR site could be making sales too. If you don’t have one now, think seriously about getting one set up. If you DO have one, think about the methods of getting additional traffic to the site that we discussed in this post. While you’re “surfing”, check out our two main websites — SewWithSarah and ShopperStrategy — you’ll find lots of goodies and information at both websites! OR if you’re in our area, or thinking of traveling to the Gulf Coast (Pensacola, FL to be exact), check out the super website DoPensacola.com – “Everything to see and do in Pensacola”!